Prof. Dr. Flavio Uribe, USA - Gesellschaft für Kieferorthopädie von Berlin und Brandenburg e. V.Gesellschaft für Kieferorthopädie von Berlin und Brandenburg e. V.
Mandibular canines and premolars are unique in that they can migrate to a distance away from the site where they develop. In fact, there have been reported cases of severe intrabony migration of mandibular canines past the midline or mandibular premolars to the coronoid process. The etiology and exact mechanism of mandibular canine and premolar displacement is not clear; however, factors such as mechanical obstruction due to pathologic lesions, inadequate space, or premature loss of teeth have been speculated. Although the prevalence of intrabony migration for mandibular teeth is very low—0.31% for canines and 0.25% for second premolars—the condition can pose diagnostic and treatment challenges to the clinician. Early diagnosis of displaced mandibular teeth is crucial as the condition can result in negative outcomes, such as impaction, resorption of adjacent teeth, or a shortened dental arch. Further, early diagnosis will prevent more complex treatment mechanics later on. Radiographic examination may include panoramic radiograph, occlusal radiograph, or even CBCT. One should keep in mind that the displaced tooth may not be discovered on a routine peri-apical radiograph. Available treatment modalities for displaced mandibular teeth include surgical removal, intentional replantation, exposure and surgical alignment, or simply observation. Advanced mechanical force application may become necessary when orthodontic alignment is the treatment of choice. A one couple system is a versatile and efficient force system that may deliver appropriate force in orthodontic alignment of displaced canines and premolars. This lecture will discuss the most recent evidence on displaced mandibular canines and pre-molars, as well as biomechanical challenges and solutions in management of such clinical scenarios. It will also include case reports that will highlight various treatment modalities and efficient biomechanics for addressing displaced mandibular teeth. Dr. Uribe received his Master‘s degree and Certificate in Orthodontics from the University of Connecticut after receiving his DDS degree from the Instituto de Ciencias de la Salud in Medellin, Colombia. He also completed a 3- year residency and fellowship program at the Advanced Education in General Dentistry Program at the University of Connecticut. 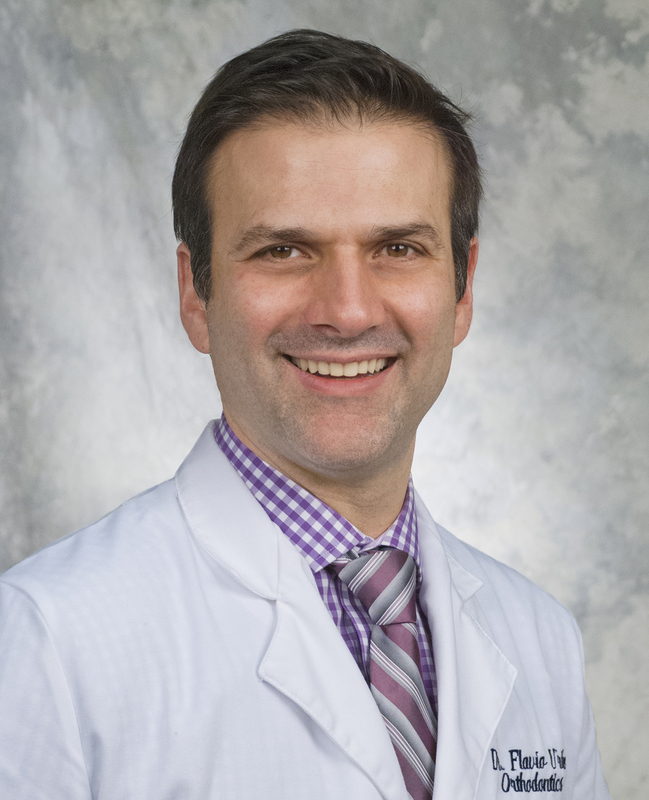 Dr. Uribe is a Full-time Associate Professor, Program Director, and Interim Chair of the Division of Orthodontics at the UConn Health. He is a Diplomate of the American Board of Orthodontics and member of the Edward H Angle Society of Orthodontists. He was a member of the Council of Scientific Affairs for the American Association of Orthodontists (AAO) and is part of the committee implementing practice based research networks for the AAO. Dr. Uribe is a section editor of the Book Temporary Anchorage Devices in Orthodontics, co-editor of the book Atlas of Complex Orthodontics, and has authored and coauthored numerous book chapters and articles in peer-reviewed journals. He is a past recipient of the Biomedical Research Award from the AAO Foundation in 2012. 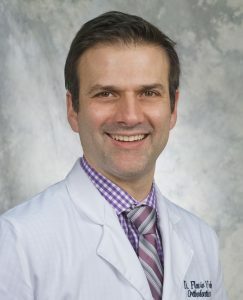 Dr. Uribe holds the Charles Burstone Professorship at the University of Connecticut.